COMMENTS: A wide mix of ingredients are cooking in the Saudi economic pot. The final dish is Vision 2030, a thriving Saudi economy not totally dependent on oil. But because 2030 is only 12 years away, turbo speed is required in the transformation process and this may necessitate adding a few contradictory or unpleasant ingredients to the pot. No doubt, reducing subsidies, increasing taxes (VAT and others), raising electricity rates and petrol prices are a burden on the population and have increased the rate of domestic inflation as well as household debt. Similarly, the levying of fees on expatriate labor is squeezing private sector operators and seems to be creating a shortage of unskilled and semi-skilled workers, which some are worried will delay construction projects, especially those that are part of the Vision 2030 plan. While such a shortage of expat workers should have created more jobs for Saudis, their unemployment rate has now risen to 12.8%! This may be a temporary situation that should decrease as more Saudis accept jobs in the construction and other sectors. Also, with 10 million expatriate workers that are expected to gradually leave, reducing the current unemployment level shouldn’t be too far away – especially if mechanization and automation are increased in these sectors, which requires higher skills that the Saudis can acquire with commensurate and justified higher salaries. On the positive side, the rise in oil prices this year may ease some of the unpleasantness. The IMF is now forecasting 1.9% real GDP growth for Saudi for 2018 (with a 2.3 % growth in the non-oil sector). The budget deficit is forecast to shrink to 5.6% of GDP in 2018 (was 9.3% in 2017) and to balance in 2024. This needs oil prices to remain high and production at present levels or higher. 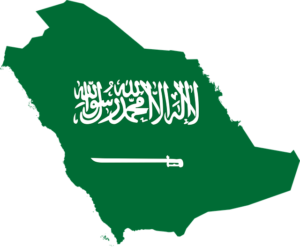 It certainly is a delicate period for Saudi and success requires continued determination and persistence, even with some relenting here and there. NEGATIVE FOR: If the transformation process doesn’t continue or if the non-productive expenses shoot up. It is also negative for Iran, in the longer term, if it does not find a way to reconcile politically and diplomatically with Saudi. POSITIVE FOR: Economically, for Saudi with a possible overflow into the Middle East. Another very positive side effect, would be the creation of a highly skilled Saudi labor force the comfortably utilizes technology, mechanization and automation. Previous Previous post: Is there Enough Gold?